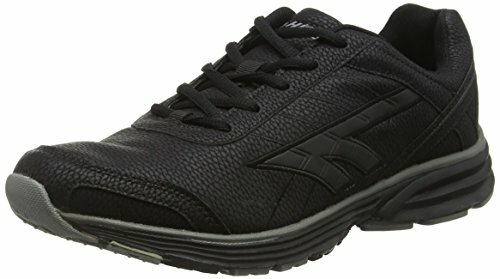 Hi-Tec Men’s Haraka Xt Lux Fitness Shoes, Black (Black/Charcoal 021), 7 UK 41 EU. The Hi-Tec Haraka XT Lux shoes are very lightweight and are made for those who appreciate maximum comfort while running. They have a stylish leather-like design and boast a wicking lining in the PU synthetic upper that improves comfort and hygiene. The light EVA midsole ensures feet are well cushioned and the rubber inserts in the outsole provide a high level of traction so you have the confidence to work out at your pace.